During sleep, our body cells repair themselves. It’s the ultimate way for great health. However, there are so many of us who don’t sleep well in this modern world. Sleep deprivation affects our health in many ways. Japanese Professor Dr. Toshiyuki Hara A.C gave the world Electric Potential Therapy in 1928. Through years of research and innovation, now Amlife International brings this medical therapy from Japan to our homes. With its latest innovation, the medical device comes in a form of a mattress. 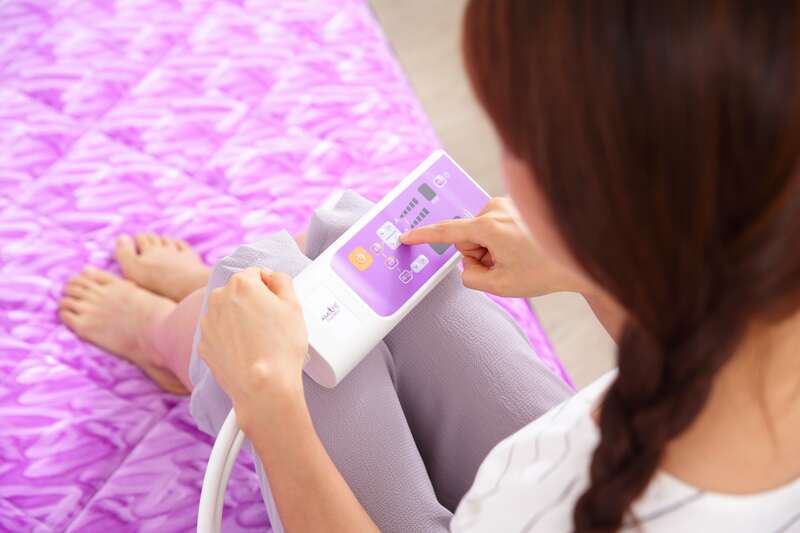 This treatment is certified by Japan, Taiwan and Malaysia’s health authorities as a medical device therapy. It has been certified to bring improvement to many health concerns including insomnia, headache, constipation, indigestion, neck and shoulder pain. It also promotes blood circulation, relieve nerve, muscle pain and fatigue. Electric potential therapy surrounds the body with electric field which is similar to the body electric field. The body cells absorb the abundance of negative ions and become active. Strong negative potential in cells enhance the permeability of cells’ membranes and increase the vitality of cells, promotes normal ionization, restores the amount of electrolytes in the blood and regulates acid-alkaline balance of our body. It also helps to regulate hormones and improve nerve conduction. This medical mattress also comes with Thermotherapy with Far Infrared Rays. This helps activate the body molecules and revitalize body cells. The heat warms the body and improves blood circulation, boosts cellular metabolism and enhances immunity against diseases. Amlife medical mattress has helped many regain their health, including numerous amazing and heartwarming testimonial on patients with high blood pressure, high blood sugar, cardio-cerebral vascular diseases, stroke, Perthes disease, automatic nerve disorder, lymphatic cancer, paralysis, bone spurs, fainting spells, rashes, chemotherapy side effect, stroke side effect, liver cirrhosis, brain tumour, migraine and many more. With proven and certified technology and exceptional product quality, Amlife vows to bring health to people. Let’s sleep to a better health.